Before you hit the open road, pull out your phone and get organized with these handy apps that will help you plan your route, find out of the way attractions, get you to the closest gas station, find a good restaurant at your next exit and more. View all your travel plans in one place. Forward travel confirmation emails to plans@tripit.com and TripIt will create a streamlined master itinerary for each of your trips that you can access anytime, anywhere, on any device—for free. The only map built for travelers. Plan your summer road trip with friends or find an amazing place nearby you never knew existed. You’re always 5 minutes away from something awesome! “America’s Favorite Drive” at your fingertips. 469 miles of scenic places, historic sites, trails, overlooks, interpretive exhibits, visitor centers, lodging, services, and essential information for visiting the Blue Ridge Parkway area. Never miss another giant twine ball, crazy museum or hilarious statue. The experts at RoadsideAmerica.com specialize in nutty sights and oddball wonders. Create as many packing lists as you need for your individual trips, then re-use them over and over again. Featured by Apple in ‘Best Travel Apps’ category in over 18 countries! 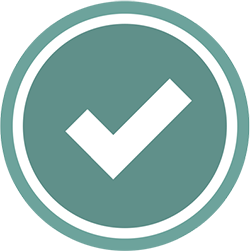 Packing List helps you create and maintain packing lists. It not only lets user to create a list from scratch, but also allows you to generate lists from an existing one. This application comes with several pre-loaded packing master lists. PackMeApp is an app organiser aimed at making and using packing lists as simple and easy as possible. Create a travel list with PackMeApp and never miss that super-important thing you wanted to pack into your luggage, but you didn’t. Looking for a pet-friendly hotel? How about an awesome dog park, trail or beach? 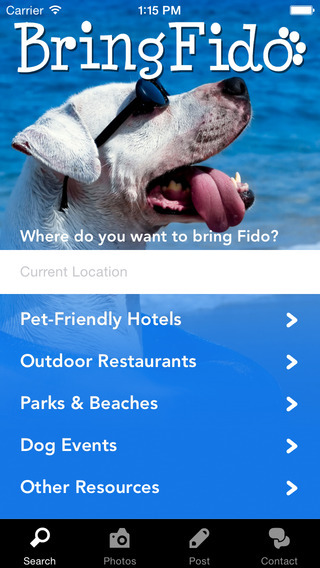 BringFido.com is the world’s leading pet travel website and the #1 trusted resource for dog owners looking for the lowdown on the best hotels, attractions, and restaurants that welcome pets. Since 1986, the Passport to Your National Parks® program has helped millions of visitors record their national park visits by collecting Passport cancellations at visitor centers and contact stations. Foursquare is your ultimate city guide, in your pocket. Find the best places to eat, drink, shop, or visit — in any city in the world. Access over 60 million short reviews from local experts. Traveling or looking to discover new places nearby? The #1 camping app of 2015. This app was developed to help people find great RV Parks in North America (USA, Canada, Mexico).